What’s to make me join yet another social network when I’m already a member of so many, dragging myself ’round the clock to fulfill my duties as a responsible citizen on each of them? What’s to make me listen to a record that sounds like everything else – same beat, loop or intellectually challenged lyric? It’s one thing to be first. It’s another to be 43rd. It’s the same with a song if you think about it. An outrageously unique record stays in your heart and brain cells and sets the pace for years. One that’s merely derivative lasts for a few weeks or months and burns out forever, maybe relegated to replay at high school reunions. In founding a community fresh, creative thinking always wins. In what new way can people hook up and push or pull what they want easier than they can anywhere else? Do we honestly need one more music or video social net whose only differentiator is it’s one more place to post? It doesn’t work any differently in any business. Quantumly different products and services burst onto the scene be they social networks, songs, technologies, films, stores, diets, Snuggies, whatever – and trillions of lemming like spin-offs spring up trying to bite off a piece of the green before the bloated landscape sinks like a rock. I never felt a conflict between “art” and “commercial”. In entertainment, the greatest successes usually include aspects that time and again appeal to the masses mixed with something so outrageously fresh that it redefines the direction the entire business is going in. But as much as I strive to be unique there’s a cardinal rule that any songwriter would be nuts to ignore: If you wait three minutes to get to the chorus your song won’t be a big fat hit. That’s just how it is. People live for and remember the chorus. So that rule, plus the fact that rhyming is a good idea, are two ‘industry best practices’ that would be fairly idiotic to ignore. The trick is to juxtapose these tried and true things with other aspects of the song where you take chances and create something unlike anything else around. Any popular piece of art has many of the same characteristics as a popular social network. They both inspire people to talk about it, share it with their friends and go to it often. Popular songs like popular web destinations bring something out in someone’s personality that may have remain tucked inside had they not ventured into that space. 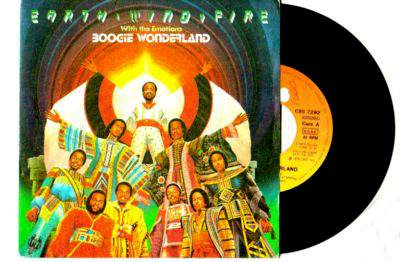 In 1978 I co-wrote “Boogie Wonderland” for Earth Wind & Fire with The Emotions. I really wanted to write a disco song and, with my collaborator, Jon Lind, figured out a way to use the word ‘boogie’ that was different from the zillion other disco songs out there. Everyone used it to mean ‘dance’. We used ‘Boogie’, in conjunction with ‘Wonderland’, to mean an exhilaratory state of mind one enters into while dancing. “Boogie Wonderland” was actually based on the movie “Looking For Mr. Goodbar”, where Diane Keaton goes to a disco every night to forget her pitiful everyday life and ends up almost being murdered because she has so little sense of self. Everyone always tells me how my song makes them feel so good but if you really listen to the lyrics it’s about someone on the brink of destruction who goes out to numb and forget themselves, only feeling like everything is alright when they “Dance! ooh ooh ooh ooh dance in Boogie Wonderland”. This is a device I often use in songs – mix a heavy theme, lyrically distinct from other songs of the genre, into happy, uptempo music. The BW lyric was distinctive as was the massive horn and string arrangements and the structure of the song itself. 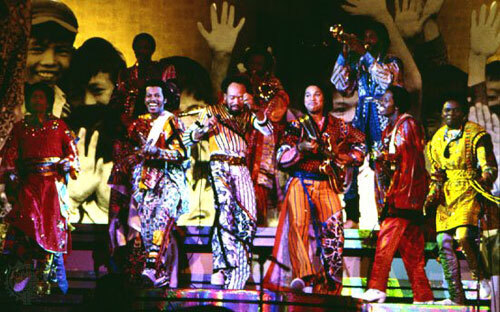 But that payoff chorus was in the same place as other hit songs and that hi hat disco spirit was very much there. Formula plus a squinch or more of innovation wins big every time. I need that same rhythm in my social networks.